[Peter] had ecstasies innumerable that other children can never know; but he was looking through the window at the one joy from which he must be forever barred. But then I started actually thinking about the future. I have no idea how things are going to end up, and it seems a bit silly to fret too much. It all changes every seven years, right? And so I started thinking slightly differently. Not what will happen? 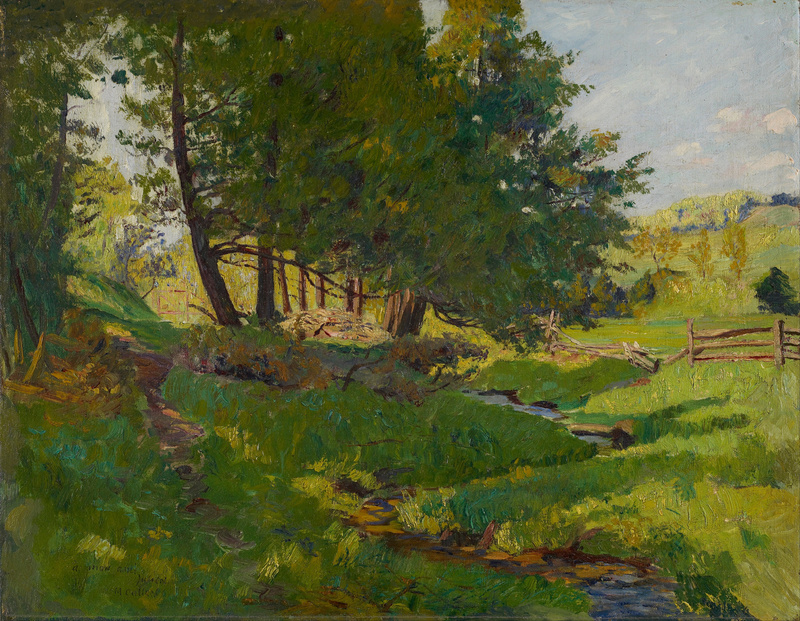 Maurice Cullen, “Summer Near Beaupre” (ca. 1900). Just need to keep that close. I’ve been working on a thing that’s required a lot of fantasy-style music. Here’s a lively piece from Heather Alexander! Posted on July 17, 2017, in Writing and tagged creativity, fantasy, KT Bryski, Personal, Victoriana, writer, Writing, Writing life. Bookmark the permalink. Leave a comment.